No matter what the weather is like outside, you want to be able to keep an energy efficient house. It’s best for the environment and it’s definitely best for your energy bills. There are plenty of things you can do to your home to keep energy efficiency at its height. Barrie, ON replacement windows are a huge step towards energy efficiency in any home. Before you get replacement windows, you have to decide whether or not you need new windows. Inefficient windows can end up costing you hundreds of dollars on energy you aren’t really using. If your windows are old, they probably aren’t very efficient. Modern windows have all the technology included that make an energy efficient window. They are durable, long-lasting, and save homeowners money. Even if your old windows look decent, you’re likely losing efficiency by keeping them around. If you see damage on your windows, like cracks, warps, or other issues, they won’t be able to keep air in or out. And if you feel a draft in your rooms from the windows, that air can go both ways, killing your energy efficiency. Energy efficient windows will, of course, save you money on heating and cooling your home, but they have other lasting benefits as well. You can give your home a new and improved look, for example. You can change functions by switching the style of your windows. Adding value to your home is another bright spot. And you can make the space more comfortable with better natural light. Homes with energy efficient windows simply look and feel better. Once you decide you need replacement windows, you then have to find a window company to help you get the quality windows your home deserves. There are plenty of places to go for inspiration, but you only want to work with the best window company to get what you really need. Check for certified, licensed installers first and ensure there is insurance as well. Then, look into a company’s years of experience, their Better Business Bureau ratings, and their reputation. You will feel better about your ultimate choice if you can trust the company you hire. 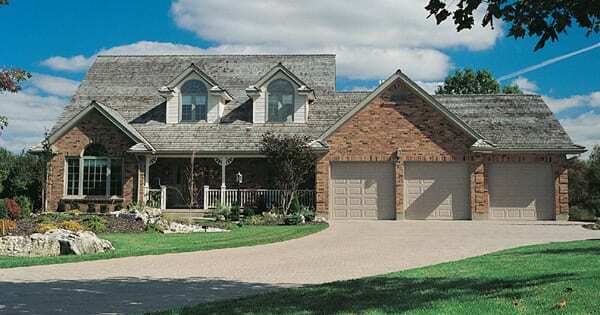 If you are interested in Barrie, ON replacement windows for your home, contact Brock Doors and Windows Ltd. for help. Give us a call at (705) 431-7087 and ask questions about replacement windows or set up a free consultation with no obligation. We’re here to get you the durability, appearance, and energy efficiency you need all in one window. You can visit our showroom to take a look at samples of the windows we carry. We’re located at 2347 Industrial Park Rd Innisfil, ON L9S 3V9 and we are happy to show you around or let you browse on your own. Seeing things in person can often lead you in the right direction. And when you get stuck, we’ll point out the differences between various replacement windows.